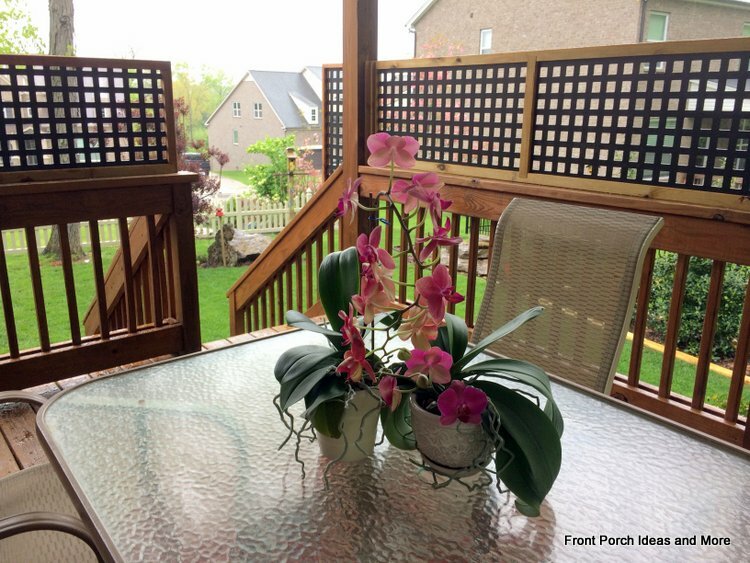 Our 'How to Make Porch Privacy Panels' guide will show you how easy it is to make panels to not only enhance the look of your porch but also give you privacy or to hide unattractive views. 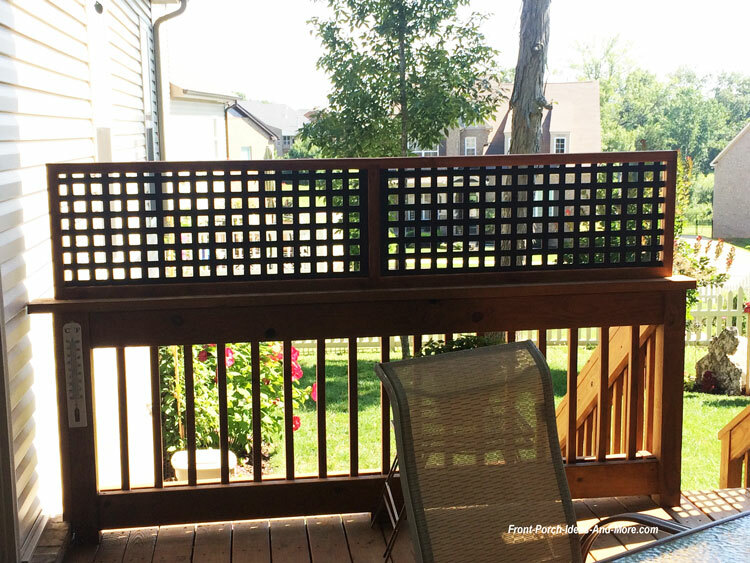 With a little ingenuity and vinyl lattice panels, we created additional ambiance and privacy on our back porch. And a year or so after writing this page, we added yet another panel. See our update and video below. 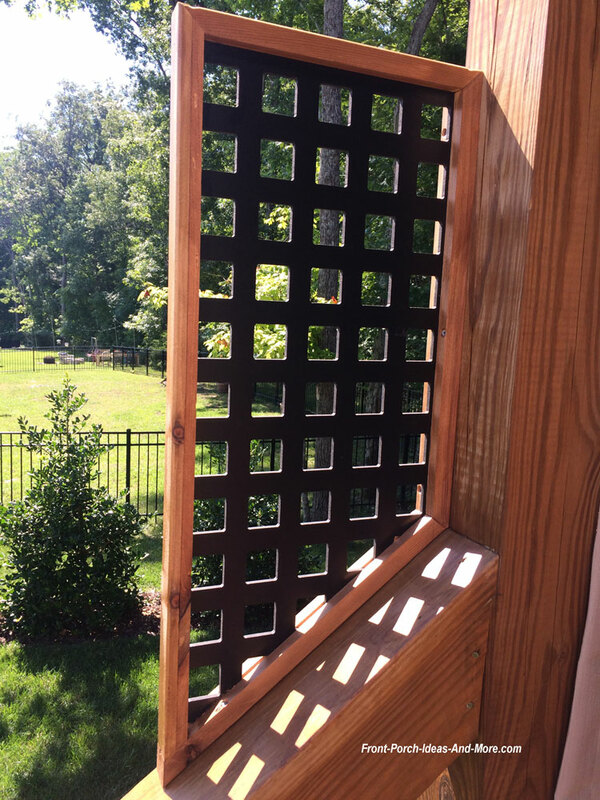 The privacy panels provide a visual filter and we gain a sense of privacy without giving up our overall view. 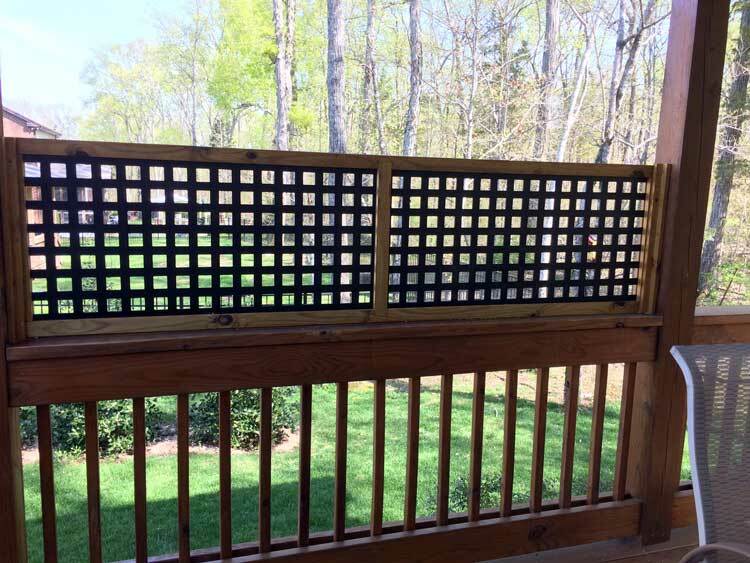 Instead of using typical treated lattice or thin vinyl lattice from home supply stores, we opted for custom vinyl lattice from Acurio Latticeworks. 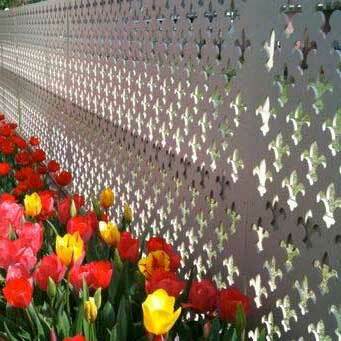 At 1/4 thick, the lattice comes in a variety of styles and can usually be custom made to your specifications and design. It is also super easy to cut. 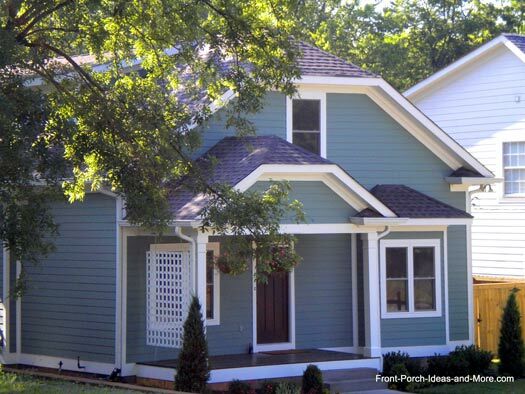 We opted for a square pattern to match our porch skirting underneath the porch. 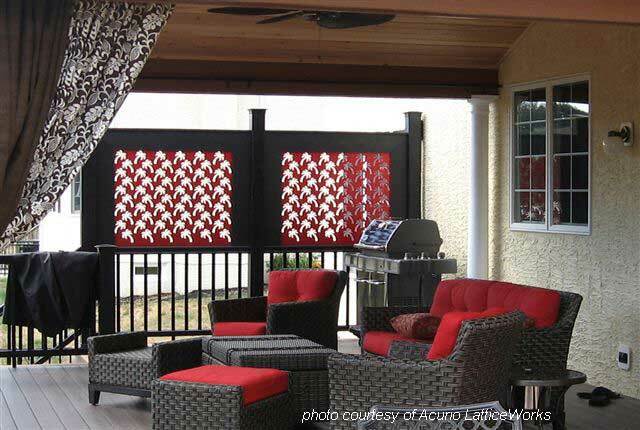 We ordered these panels through Home Depot; however, you can also purchase larger sized panels directly from Acurio Latticeworks (contact information below). 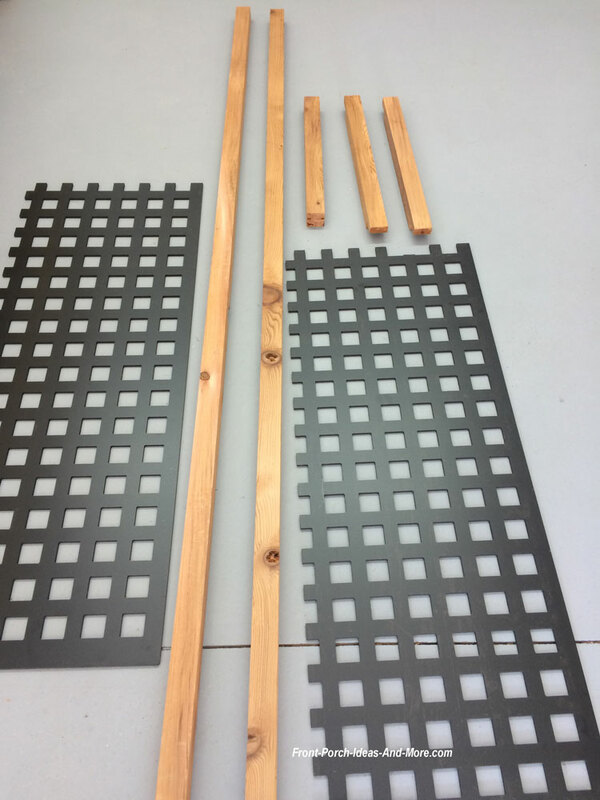 Here's a general guide as to how I made the panel for our back porch which you can use to make your own. Your project will probably have different dimension requirements so you will have to modify our guide to fit your specific needs. Two panels (32" x 48" each). 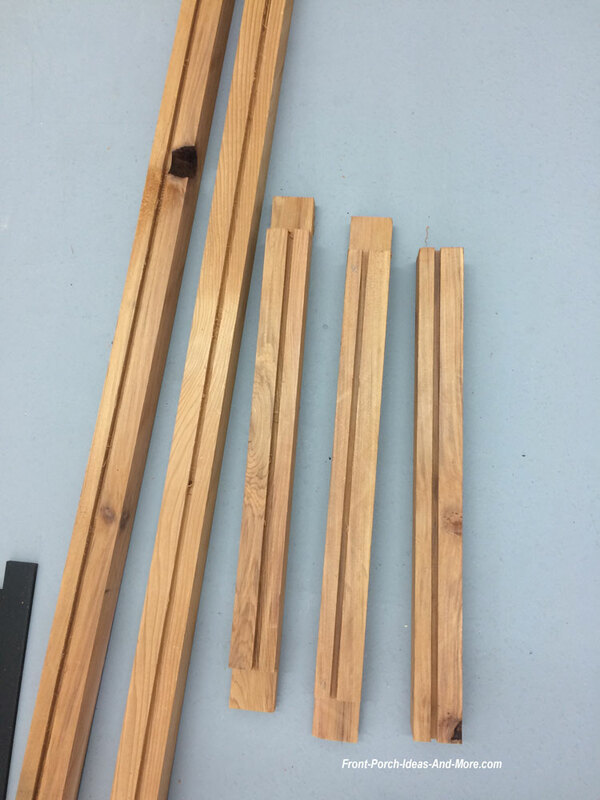 Cedar (can substitute treated lumber). 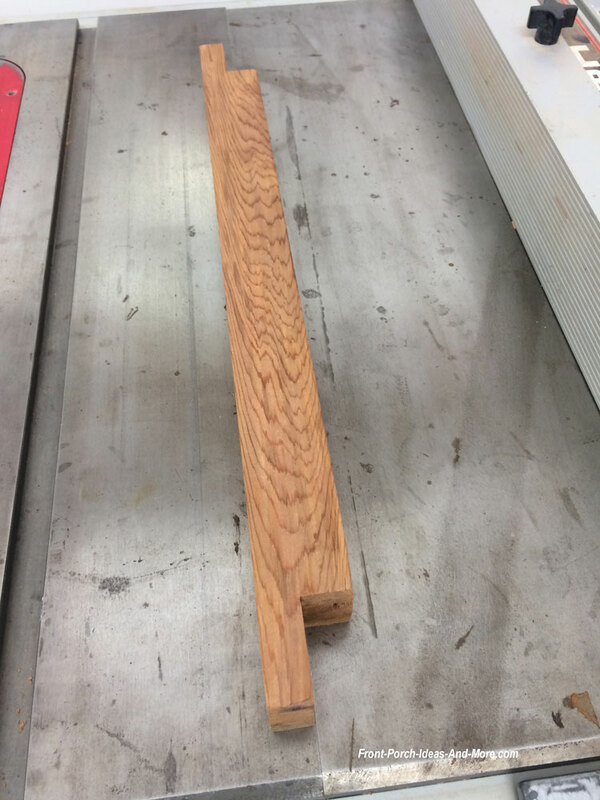 I purchased two 8 foot x 6 inch x 1 1/4 inch cedar boards for this project. Note: You can center the dado or offset depending on your preference. Cut 1 5/8 x 1 inch rabbet on each end of the end stiles. After all parts have been cut dry fit the panel and make any necessary adjustments. Glue and clamp the panel together. I pre-drilled pilot holes and inserted one deck screw into each frame joint. I stained the panel using natural stain. 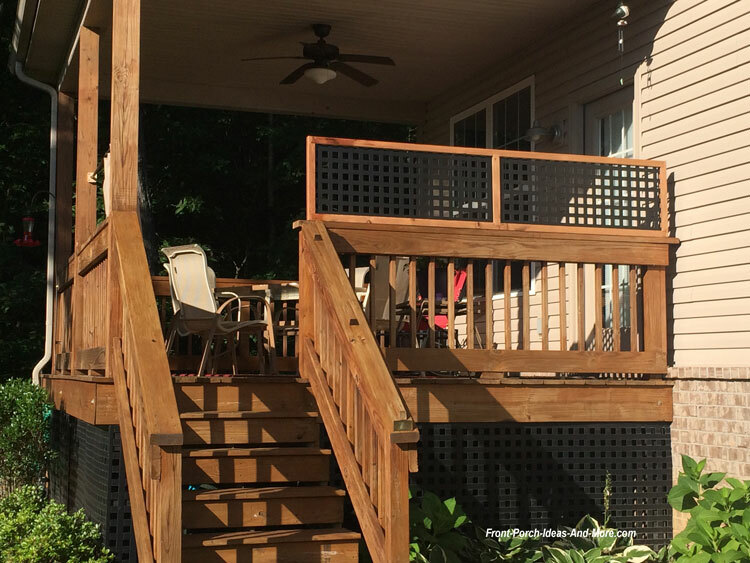 Position on porch and secure with deck screws. 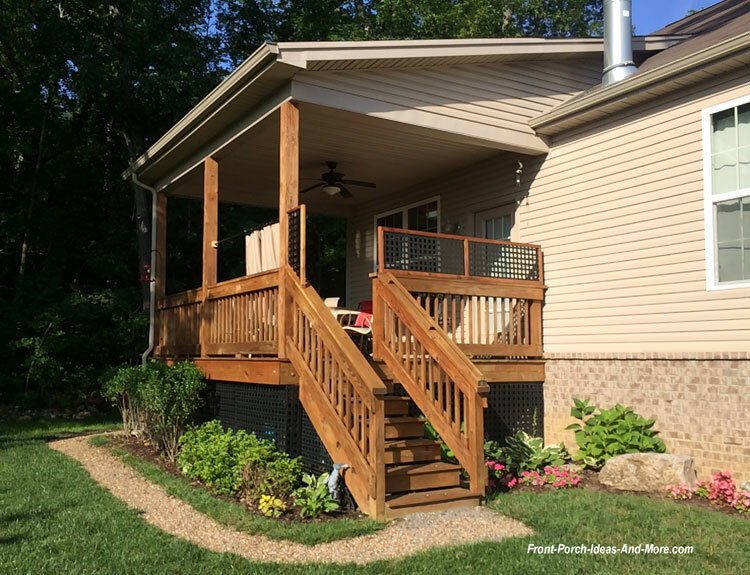 Because we wanted a bit more privacy on the back side of our porch, we needed to add an additional panel going partially down the stairs. 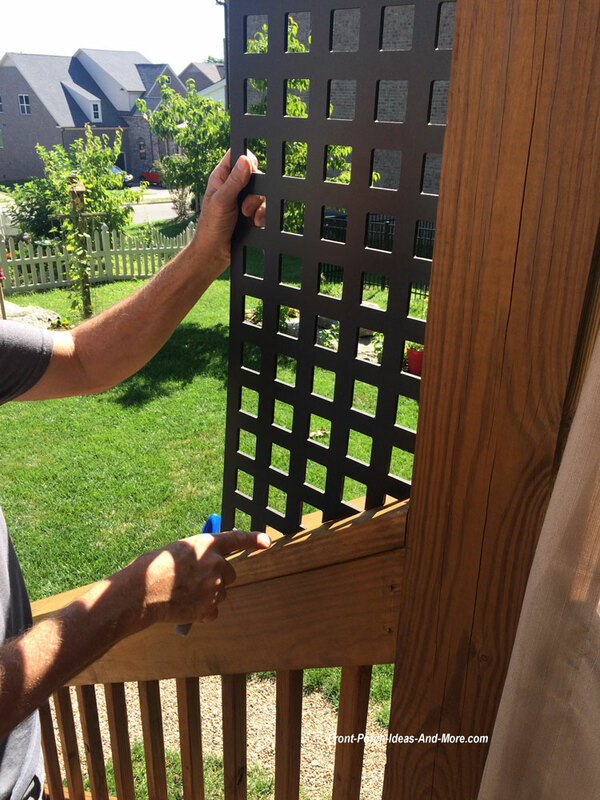 We made it the same way but cut the vinyl panel at an angle since it needed the match the line of the stair railing. 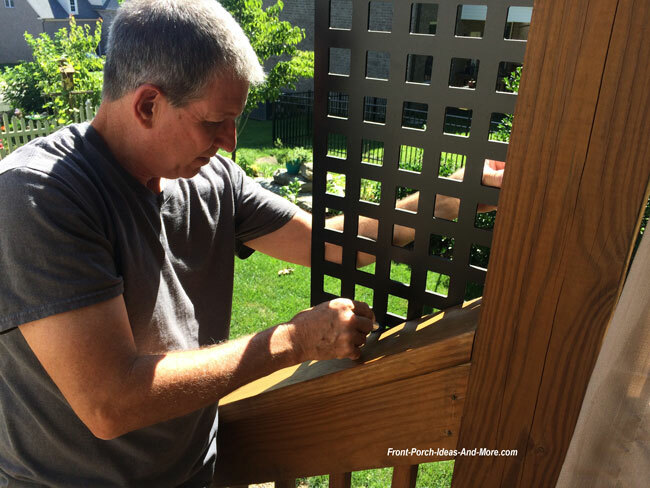 To do so, we placed the panel in position against the top rail so we could mark the angle to make a perfect fit. 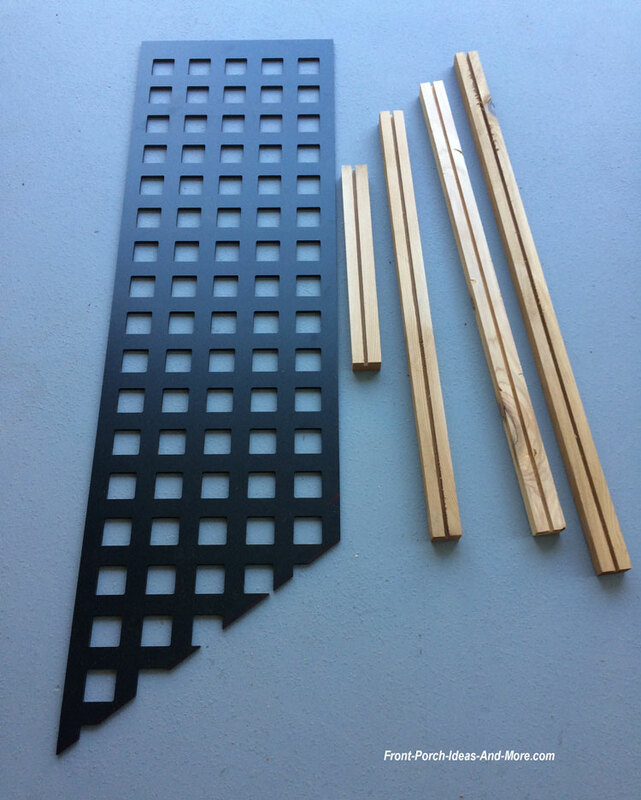 We cut and assembled the parts in the same manner as above. 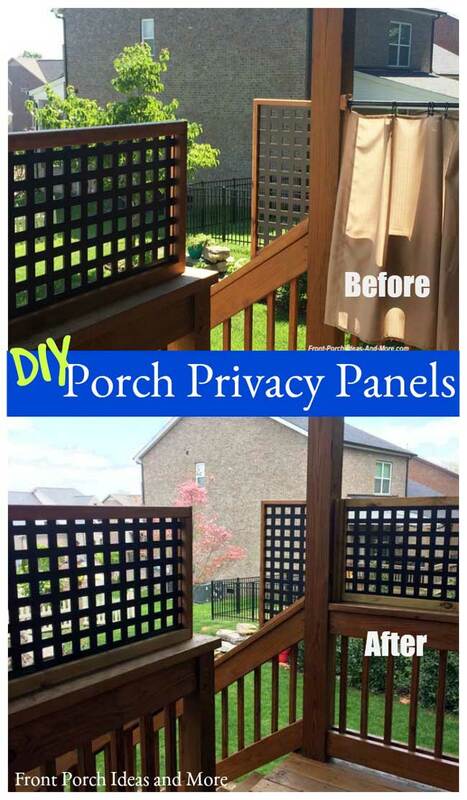 This panel provides just the right amount of privacy we were wanting. 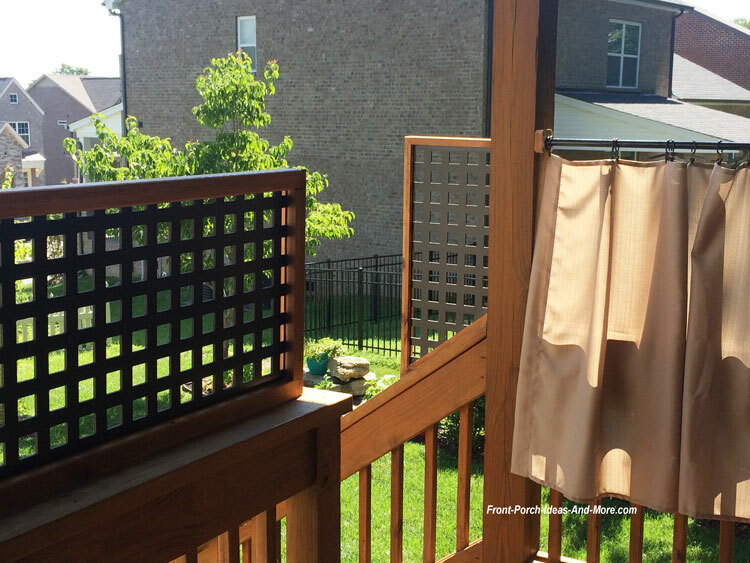 On one section of our back porch, we used a curtain for privacy. But over time, we decided it wasn't the best solution for us. The curtain blew in the wind a lot and got tangled up and we were constantly fussing with it. 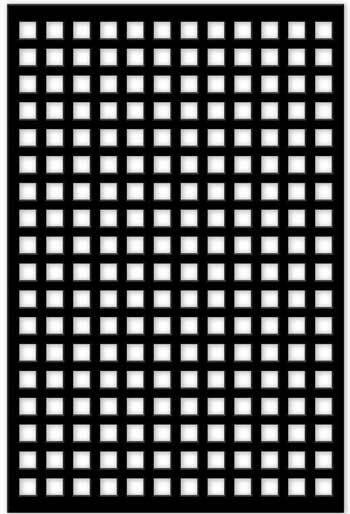 So we decided to create another privacy panel to match the others. We like the new look much better; the curtains became tangled around the rod as the wind blew. Had we decided to keep them, we would have come up with a better solution. 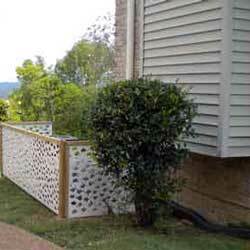 Mary and I really like using vinyl lattice from Acurio Latticeworks. 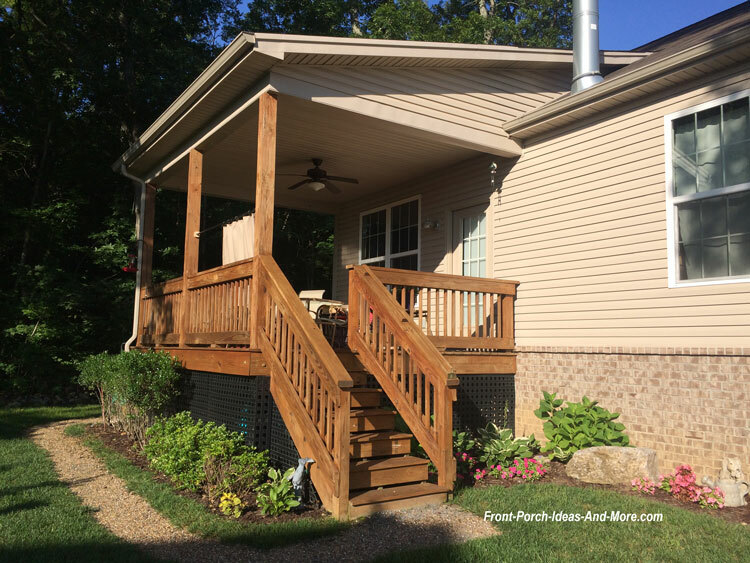 We've used it as porch and deck skirting, privacy panels, and other projects as well. 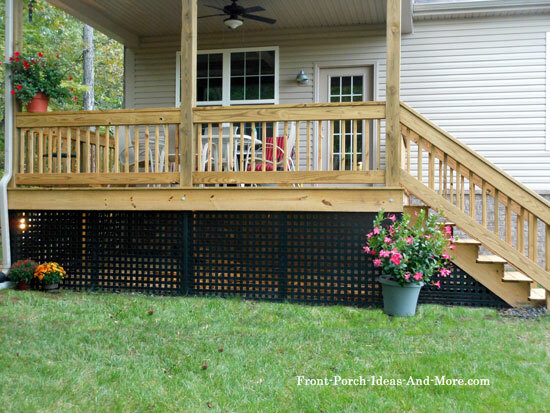 We hope that you enjoyed learning how to make porch privacy panels. 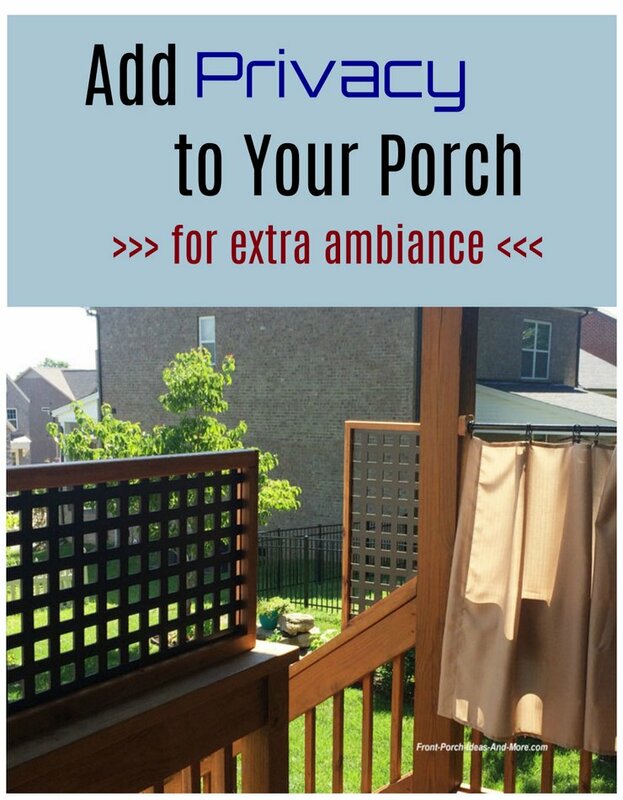 They dress up our porch as much as they offer filtered privacy. We like ours.